An original 1965 Shelby American Press packet. 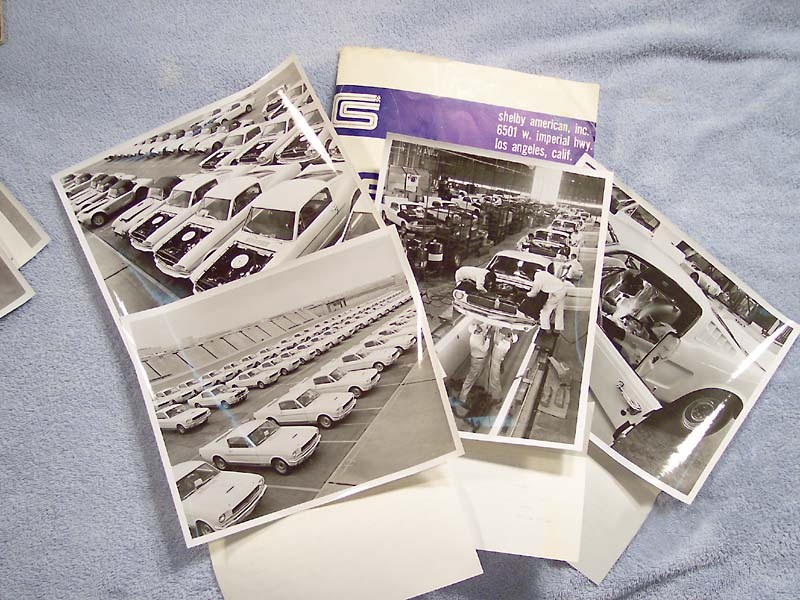 These were handed out to the auotomotive press and Ford personel who toured the LAX plant in 1965. This was the idea of Gordon Thorne who worked under Max Muhleman (head P.R. person at Shelby American) in 1965. 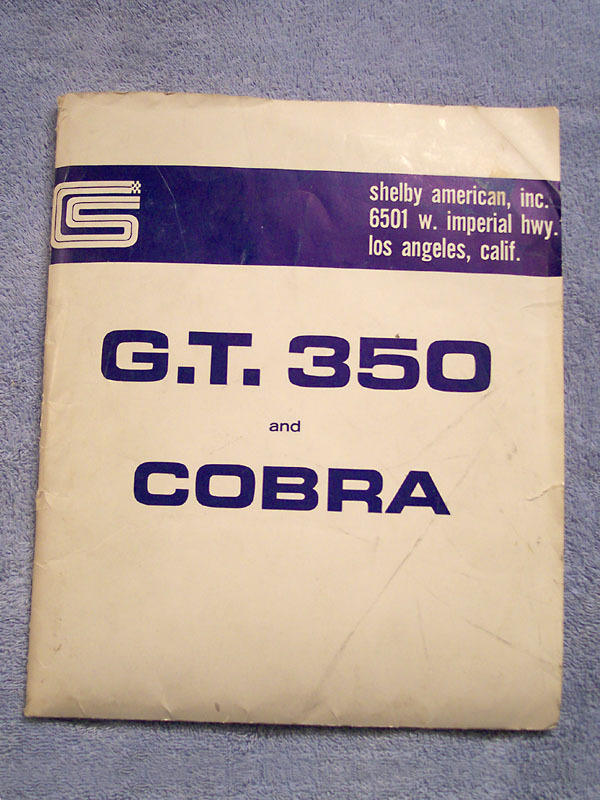 On the inside flap is Carroll Shelby's signature but since Shelby was not in the office at the time, Thorne had to forge Shelby's autograph. Reproductions do not have such nice photographs since they have been recopied over and over during the past 30+ years. This was Gordon's personal copy. The lower image shows the photos included in the packet. The idea went over so well, there was also a 1966 packet produced with an identical cover but with different photos inside.